The Colorado Institute for Drug, Device and Diagnostic Development (CID4) has released the names of companies chosen during its first solicitation announced in February. Selected companies are Boulder-based Sophono, Inc., receiving $600,000 for a new hearing device, and Aurora-based biopharmaceutical company PeptiVir, Inc. which will receive $300,000, for its universal flu vaccine under development. The Colorado Institute for Drug, Device and Diagnostic Development (CID4) has completed the selection process resulting from its first solicitation announced in February. The announcement is made by Richard C. Duke, Ph.D., CID4 President & CEO, who says, "Boulder-based medical device company Sophono, Inc., is receiving $600,000 for its Alpha 1 Magnetic Bone Anchored Hearing System, the world's first and only non-percutaneous, osseointegrated hearing solution designed to treat conductive and mixed hearing loss and single sided deafness; and Aurora-based biopharmaceutical company PeptiVir, Inc., which will receive $300,000 for its universal flu vaccine under development." In addition to initial financial support from the State of Colorado (HB 1001), CID4 has also received federal support from the Fitzsimons Redevelopment Authority via a Fiscal 2010 Senate appropriation supported by Colorado Senator Michael Bennet. Senator Bennet says, "We can strengthen our economic recovery and ensure Colorado remains a leader in innovation and entrepreneurship by supporting efforts that turn groundbreaking research into startups and companies that will grow and create good-paying jobs. Aurora is an excellent community to host cutting edge efforts to build a thriving and competitive bioscience cluster." Further, Colorado Governor Bill Ritter, Jr., says: "Supporting Colorado's life sciences companies is critical to growing jobs and our economy in Colorado, and I congratulate both the CID4 for success in its first solicitation and those companies chosen to receive funding." At the CID4 launch in February, The Honorable Ed Tauer, Mayor of the City of Aurora and member of the CID4 Board of Directors, concurred, saying: "By helping promising technologies in need of startup assistance to become great companies, CID4 becomes our secret weapon to growing more, higher-paying Colorado jobs." "Sophono's Alpha 1 has received its CE mark and is already being sold in Europe. Our investment will allow the Sophono team to accelerate its FDA clearance process." Kevin M. Smith, CID4 Executive Vice President/COO, explains. "This acceleration will create job growth in the life science cluster as well as bringing a new therapy alternative to those patients who suffer from conductive hearing loss. This investment was made possible by the seed funding CID4 has received from the State of Colorado's BDEGP program and we believe it is the beginning of a new investment model to spur the growth of Colorado's innovative companies." In addition, according to Sophono's President and CEO Jim Kasic, the company plans to relocate manufacturing and assembling operations from Germany to Boulder, resulting in the hiring of 6-10 employees here within the next few months. "We're very fortunate that CID4 is going to assist Sophono in growing our business more quickly in the U.S.," Kasic says. For more information about Sophono, Inc., visit http://www.sophono.com. 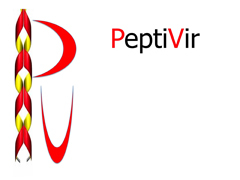 PeptiVir, Inc., is an early stage biopharmaceutical company focused on the development and commercialization of a conformationally-constrained, synthetic peptide-based vaccine platform for the prevention of viral diseases. PeptiVir's lead product, PVI-1000, has the potential to be a "universal" influenza vaccine wherein one or two administrations could lead to sustained protection against multiple seasonal and pandemic strains. "There is an urgent need to develop new and different types of influenza vaccines that can provide protection against many different strains of influenza virus, including potential new pandemic influenza strains from birds or animals that have never previously adapted to infect humans," Kathryn Holmes, Professor of Microbiology, University of Colorado School of Medicine and a PeptiVir founder, explains. PeptiVir, Inc., is one of four finalists announced earlier this month for the 2010 BioWest Venture Showcase competition: http://www.businesswire.com/news/home/20100913005578/en. CID4 is a private, not-for-profit entity, formed in Fall 2009 to bridge the gap between basic research and successful product commercialization, thereby creating more Colorado jobs in the life science industry. CID4 is transforming life science innovation into commercial success by identifying and funding potential opportunities, and utilizing the talents of an advanced leadership team to ensure ultimate market value. By actively promoting the real world application of cutting edge research, CID4 is a leader in the formation of new companies and the creation of high-paying jobs. For more information about the Institute and to apply for CID4's second solicitation for proposals (deadline October 15, 2010), visit http://www.cid4.com. Sophono, Inc. - Boulder, CO PeptiVir, Inc. - Aurora, CO Advancing Colorado life science through company creation and job growth.